Comes in a matt single sleeve. Includes two printed inner sleeves. Recorded, Mixed and Mastered with the Exclusive - "Quantum Range Recording Process"
-Rap originally embodied on "I Can't Stop The Reign" courtesy of Twism and Bad Boy/Arista. It is hard to understand, where the Rap on Unbreakable comes from; at least, it was for me. Here, it is only written: “Rap originally embodied on "I Can't Stop The Reign" courtesy of Twism and Bad Boy/Arista.“ Searching, I found this: Shaquille O'Neal ‎made an Album "You Can't Stop The Reign" in 1996. The song itself on the track-list on discogs seems to be named "Still Can't Stop The Reign". On YouTube it is named "Can't Stop The Reign". SO, first mistake, there is no song named "I Can't Stop The Reign" as is quoted here in explanations, that have been taken form the album, I presume. So, in the song "Still Can't Stop The Reign" Shaquille O'Neal sings some Verses, but MORE songs are sung by The Notorious B.I.G.! Also, he sings the last verse, starting with the line "A lime to a lemon, my CeCe women" starting around minute 3.00. This verse also is completely on the Song “Unbreakable” from Michael Jackson, there starting at minute 3.53. That´s it! 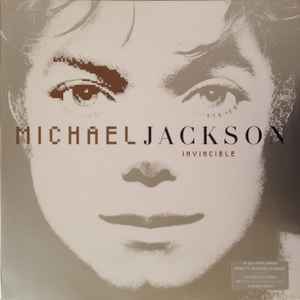 I must say, I love some of the more subtle parallels, too (premised that I totally agree with Christo77 here, for me Invincible is the best Album from Jackson), that the word “Invincible” is also in the song "Still Can't Stop The Reign" and also the word “elevator” - where you hear an elevator at the beginning of Jacksons “Unbreakable”. I love it that Michael Jackson sometimes included other musicians into his work, when he liked them or liked music from them.